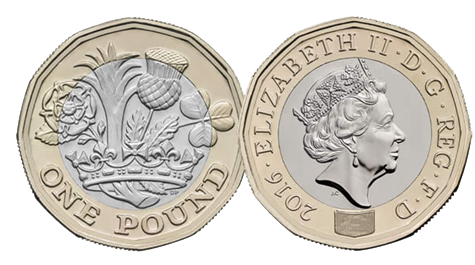 The new £1 coin was introduced on 28 March 2017. The Smiths and Ferranti coin meters will need to be adjusted to accept the new coin. The good news is you don’t have to buy any new parts for the meter, uninstall it or replace it. The new coin is only slightly bigger than the current £1 coin, so it’s just a case of slightly enlarging the coin slot. 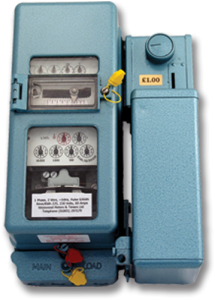 Scroll down this page to see information about our solution for Smiths and Ferranti coin meters and videos showing you the process. 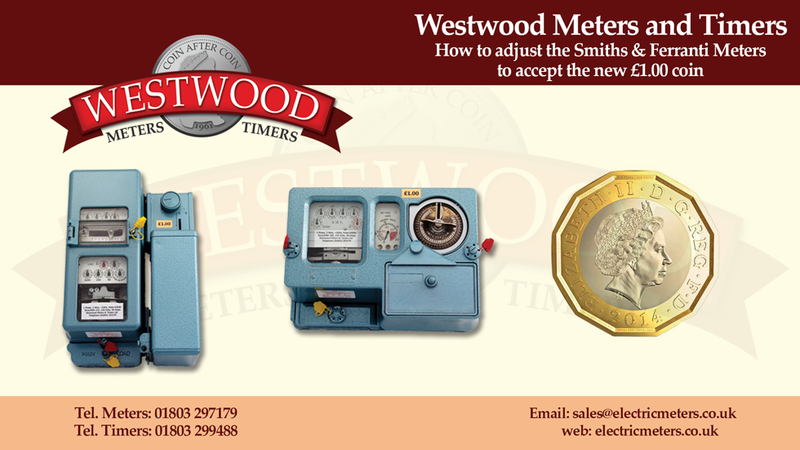 If you have a Westwood Timer operating with the current £1 coin, the coin guide will require replacing please see below. 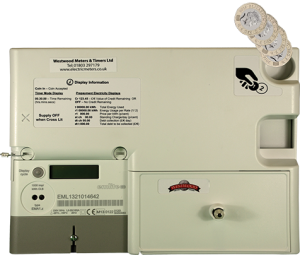 * We cannot reprogram meters supplied in 2013 and early 2014 with serial numbers commencing EML13** up to EML1435, but can make arrangements for this do be done. Please contact us to discuss this. 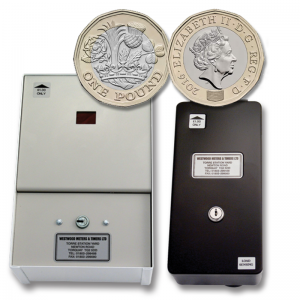 It is possible that your Smiths coin meter will accept the new £1.00 coin without any adjustment; it will depend upon the type of coin action fitted on your meter. Click here for further information, or if you prefer, contact us to discuss further. If your Smiths coin meter will not accept the new £1.00 coin, the coin action requires only a small filing adjustment for it to be accepted. Click here for instructions or click on the video below. 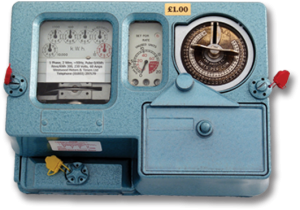 A small filing adjustment to the coin action is required on all Ferranti coin meters for the coin action to accept the new £1.00. It is a quick, simple adjustment to make; the meter does NOT need to be uninstalled to carry out the procedure. 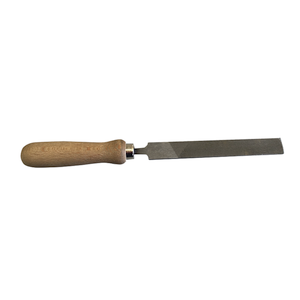 Click here for instructions, click on the video below or, if you prefer, contact us to discuss further. It is only a small adjustment needed for a coin meter to accept the new £1.00 coin. You do NOT need to uninstall your meter to make any alterations.